Genealogy and dna testing: together they can extend your research. Genealogy dna testing, also known as genetic genealogy, may be able to help you discover more about your ancestral heritage. Some people hail it as the brave new world of genealogical investigation. Others object to it because they say it removes the educational (not to mention, enjoyable) detective work of traditional genealogy research in musty archives and libraries. Others insist it's a load of hoccus pocus nonsense designed to separate fools from their wallet. Probably the majority simply don't know what to think about genealogy dna testing but are curious to know more. This section of the site is intended primarily to provide information to the latter group. It doesn't pretend to be a learned dissertation on genealogy dna testing. It is merely a primer. It is aimed at the amateur family historian who is curious about what this scientific development might offer his/her research and wants to know what is available and what to consider before deciding whether or not to proceed with a test. Why bother with genealogical dna testing? If you've already unlocked a fair few generations of your ancestry, dna testing may seem an unnecessary luxury. Or, depending on your approach to research or your level of curiosity about your genealogy, dna analysis may offer just the answer you've been waiting for. Any of the following reasons might make you consider the cost of genealogy dna testing to be within your budget. Genetic genealogy is DNA testing that's carried out specifically to learn about a person's heritage. You've hit a brickwall in your paper research. You want to see if the genealogy discoveries you've already made stand up to scientific scrutiny. You have an unsolved mystery, perhaps about adoptions, rushed marriages or other 'hushed-up' relationships, in your family tree. You are satisfied with your knowledge of your more recent heritage (ie during the last few centuries) but you'd like to know about your more distant geographical origin... your ethnic origin. You want to find out if you are related to others with the same surname. If you've been a family historian for any length of time, it's possible you've been contacted by someone - a stranger - who shares your surname and wonders if you might be related. After a few cursory questions and answers about immediate family and/or a generation or two of ancestors, both parties usually come to the conclusion that they are not related. But there is a chance (and, with some names, a likelihood) that you and this stranger are indeed related. The problem is that the 'common ancestor' is further back in time than your combined traditional genealogical research can take you. This is where surname studies come in, because Y-DNA (see below) is passed intact, along with a surname, down the male line. Surname studies and Y-DNA are, therefore, natural partners in the genealogy dna testing portfolio. When the well-known dna-testing company FamilyTreeDNA launched its autosomal DNA test (they call it Family Finder) in 2010, genetic genealogy took off big time. Before long, the huge genealogy records provider Ancestry jumped into the dna market, and has since grown into the world's largest consumer DNA network, with more than six million people having tested at the end of 2018. Each of these people receives an 'ethnicity estimate' ie they learn what percentage of Irish, Scandinavian or Native American (etc) heritage might be in their blood. Each test in the database is matched against existing and (on an on-going basis) newly processed test results of other people, and delivers a way of making contact, through Ancestry, with your closest matches. 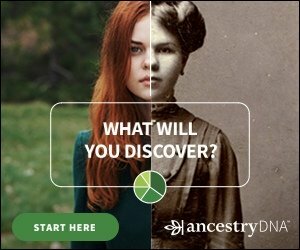 What do you want to know about genealogy dna testing? Select from the menu below to find out more about how dna and genealogy can help you unravel your heritage and geographical origin. You've probably read or heard about dna paternity tests in the salacious 'celebrity' pages of the tabloid press, or about dna forensic evidence solving heinous crimes. Genetic genealogy is altogether milder, and perhaps less specific. For example, genealogy dna testing won't tell you about your family's predisposition to certain medical conditions. Being still relatively new, there remains a certain amount of misinformation floating about. For example, blood tests aren't necessary, nor, if you're a little 'short on top' do you have to give up a precious lock of hair. It's all done by mouth swab or spit... quick, no messing and painless. • It won't tell you that you are descended from Eric Bloodaxe or related to Cillian Murphy. While none of the commercial firms currently offering genealogical dna testing is geared up to provide genetic medical information (ie a propensity for certain diseases), it is possible that some types of dna tests could inadvertently detect certain diseases or infertility. A more frequent detection is of a 'non-paternity event' ie illigitimacy. Within surname studies, this can often be pin-pointed to a particular generation. Clearly, this has the potential to cause upset in a family.